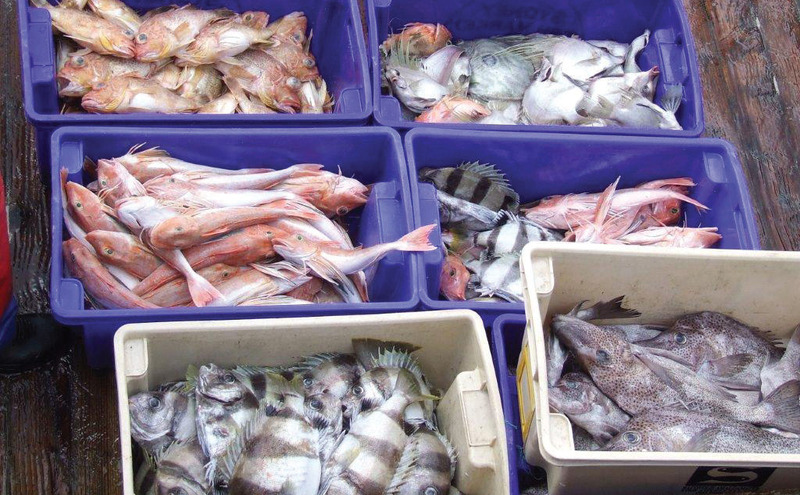 Each year, the Australian Government releases a report, prepared by independent fishery biologists, that documents the status of fish stocks and fisheries managed by the government. The results for 2011 were recently reported. Please, friends, let Beel provide a summary of the report’s results. The report included an assessment of 95 fish stocks across 22 fishery sectors; however, through the magic of Photoshop, Beel has modified the figure to include only finfish stocks- that is, shrimp, lobster, sea cucumbers, etc. are not included here. The modified figure, then, presents results for 74 stocks (17 sectors). 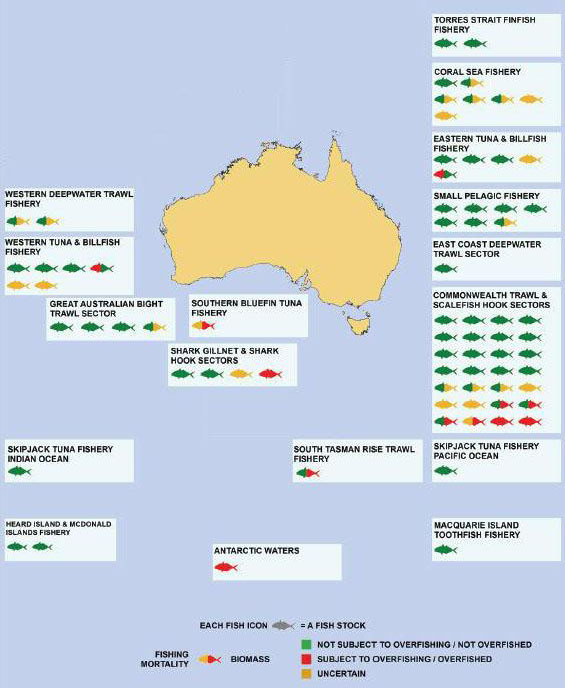 Overall, the status of Australian fish stocks looks quite good. Fishing mortality is too high in only 6 (11%) stocks and biomass is below target levels in 10 (19%) of stocks. The picture changes only slightly if one excludes stocks with uncertain mortality and biomass estimates: fishing mortality is too high in 14% of stocks and biomass is below acceptable levels in 29% of stocks. There are some problematic species. Orange roughy and Patagonian toothfish (AKA Chilean seabass) stocks have been overfished and are not adequately rebuilding. Similarly, a few tuna and shark stocks show evidence of overfishing (high fishing mortality and/or low biomass). Beel will follow on these species. The figure above presents just a snapshot in time. However, looking at fishing mortality and biomass from 2004 to 2011 paints a very promising picture. Over this period, the number of stocks subject to excess fishing mortality has been relatively constant (red line), the number of stocks of uncertain status has decreased (yellow line), and the number of stocks that are not overfished (green line) has increased. Basically, the change has been between the last two categories. 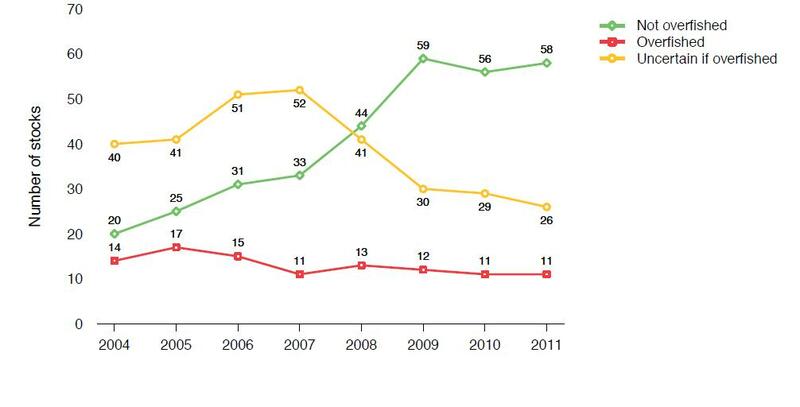 The great majority (70 out of 95) of stocks have not been overfished since 2009. Biomass in Australian fish stocks (including shellfish and sea cucumbers. (source: Woodhams, Viera, and Stobutzki ). Here again, we see the same picture. Since 2004, there has been a small but constant number of fisheries that are below acceptable biomass levels (red line). 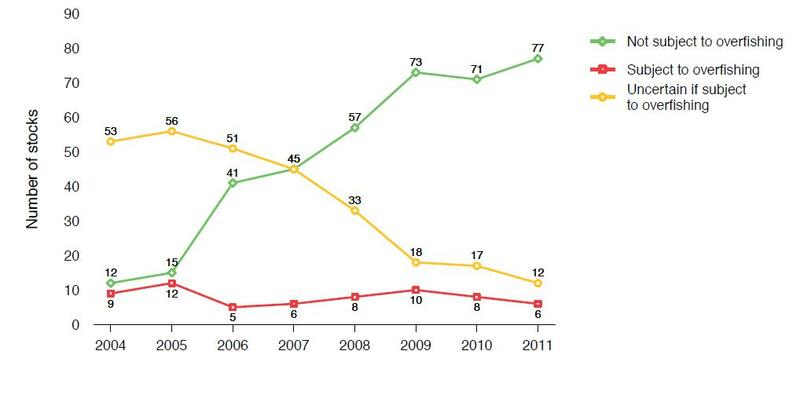 The number of fisheries of uncertain status (yellow line) has decreased, while the number that have acceptable biomass levels (green line) has increased to nearly 60 stocks (out of 95) in the past few years. Beel says, things are looking up Down Under. The Australians have embiggened their fish stocks in a most cromulent manner. G’donya. J. Woodhams, S. Viera, and I. Stobutzki (editors). 2012. 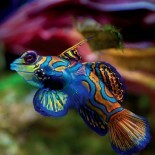 Fishery Status Reports 2011. Australian Bureau of Agricultural and Resource Economics and Sciences, Canberra, Australia. This entry was posted on January 28, 2013 by denstormer in Conservation, Fishing and angling, Statistics and tagged Australia, fishery management, marine fish.